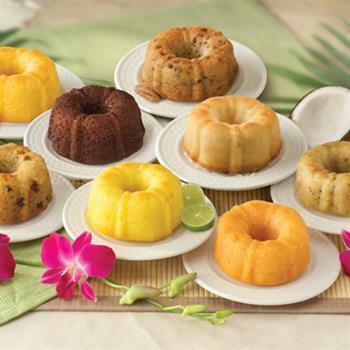 Our gift of eight tropical flavored mini bundt cakes are perfect as individual desserts. You'll enjoy a Key Lime mini, a Honeybell Zest, luscious Chocolate Chocolate Chip, Island Rum, Captain's Chocolate Chip, Calypso Coconut, Cabana Banana Nut and Key Largo Lemon. Each 4 oz. cake is individually wrapped and boxed. 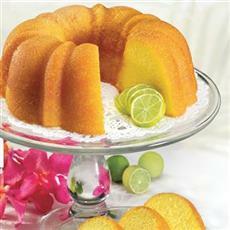 The cakes were moist and the flavors were mouthwatering. 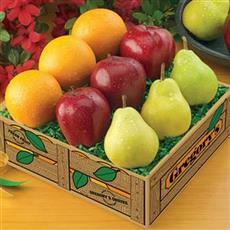 Will order them again. 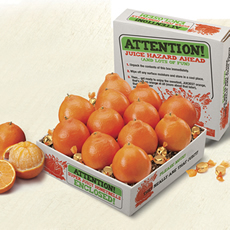 Perfect product to use in a buffet meal.